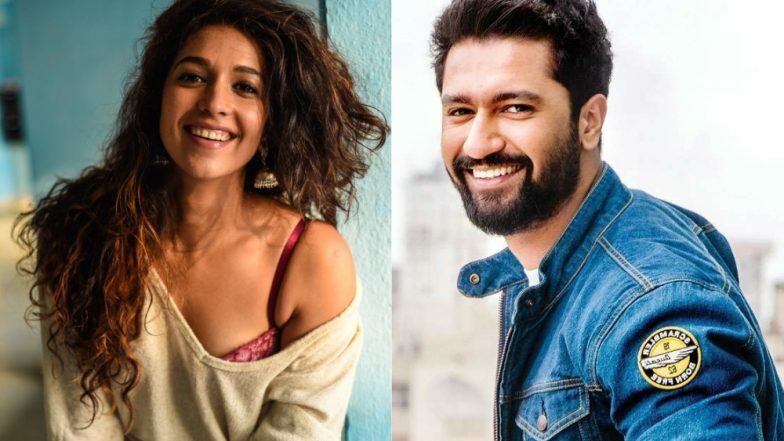 The very talented Vicky Kaushal became a household name with Rajkumar Hirani’s Sanju. From being critics favourite early on in his career to becoming the nation’s heartthrob with his earnest performances in movies like Manmarziyaan, Vicky Kaushal has come a long way in the industry. And despite the giant leaps Vicky has made in the path of success, the actor continues to remain an extremely private person. Post Sanju success there was buzz around Shyam Kaushal’s son’s personal life. Reports suggested that Vicky was dating model-actress Harleen Sethi. The couple has also been spotted on movie and dinner dates often, but there’s no official confirmation about the actor’s relationship status. Was this Vicky’s way of confirming his affair with Sethi? Well, the actor did not stop at that. He also revealed that if on Tinder he would swipe right many times on Harleen. Now that is more than just a confirmation. Harleen and Vicky look adorable together, but looks like the duo wants to continue keeping their love life under wraps. With focus on their movie careers, the couple would not want to indulge talking about their personal relationship or go public. Whatever the case, those ladies who were thrilled about Vicky being single might now be heartbroken. Because even though Vicky is not ready to make a formal announcement about his relationship status, the actor has dropped more than one hint to confirm that he’s taken and in a happy space with girlfriend Harleen Sethi.